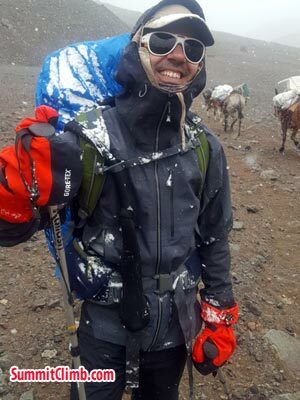 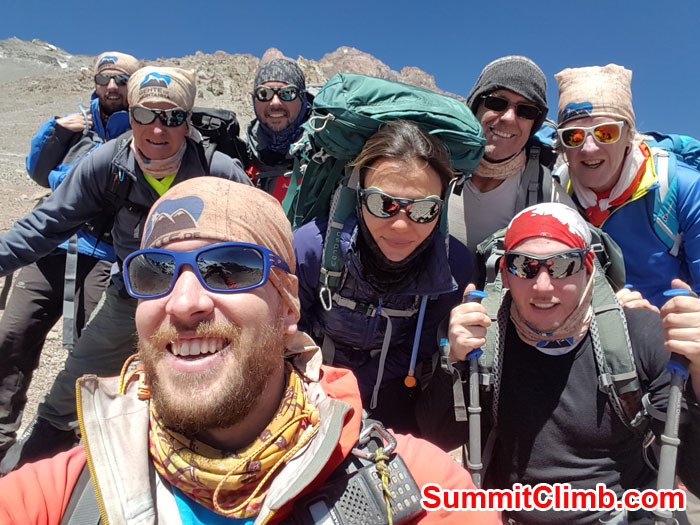 24 Jan, 2019 - from Max: we are at basecamp already. 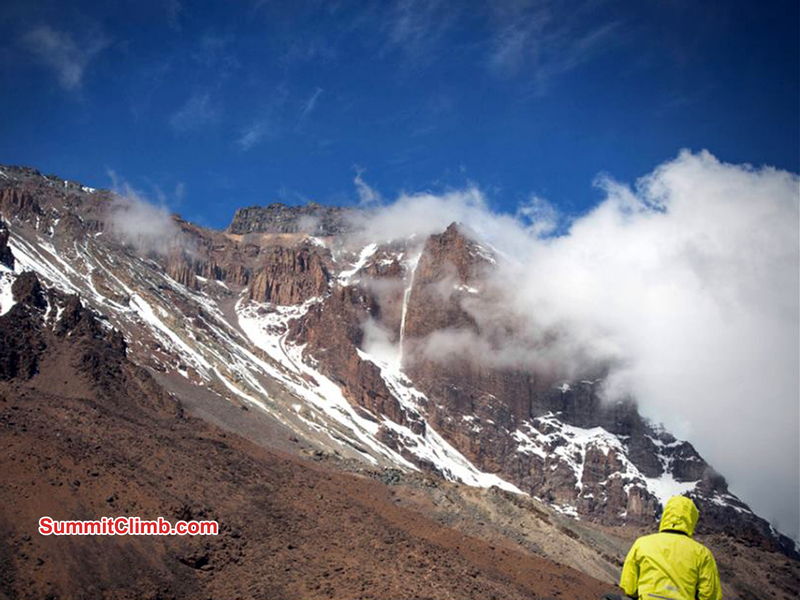 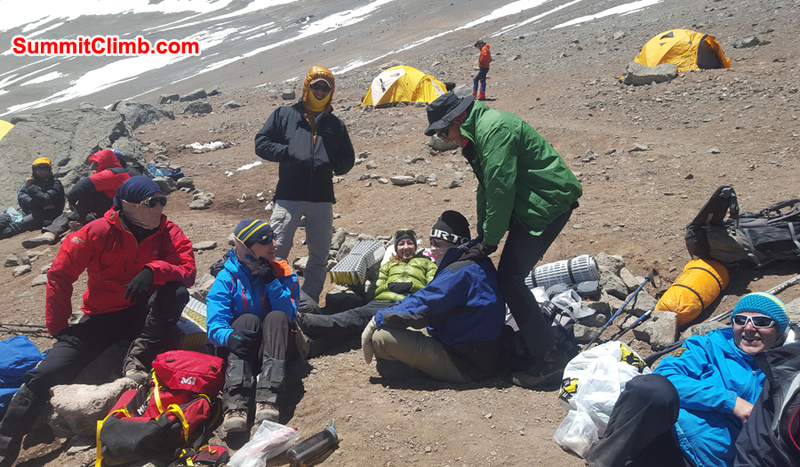 We took loads to 5000m and we are having a rest day tomorrow, then heading up.. 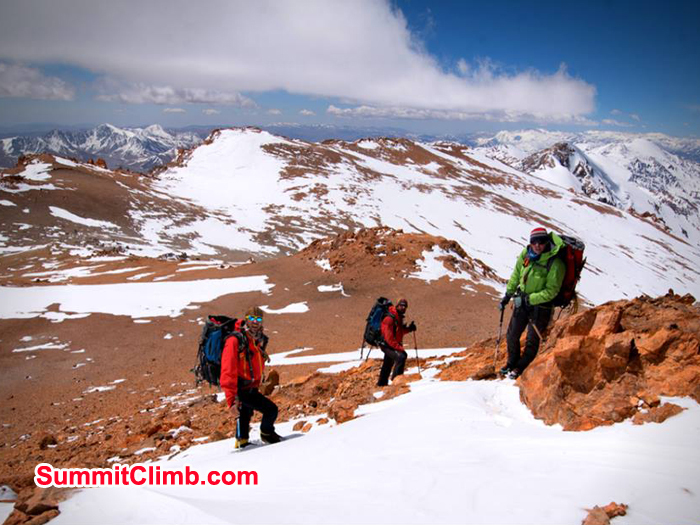 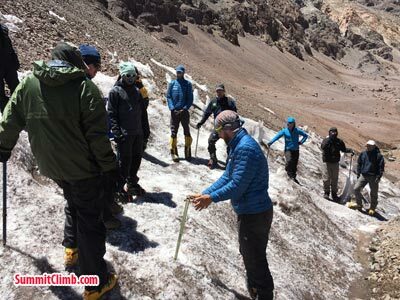 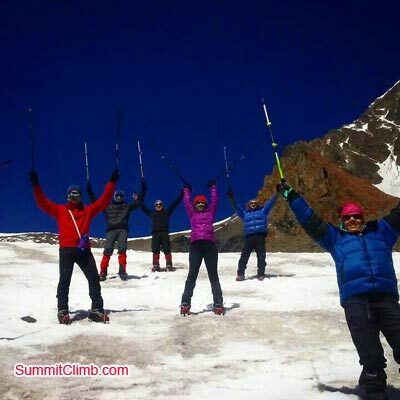 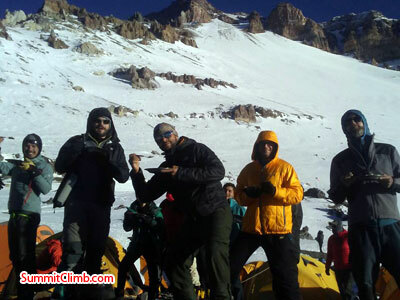 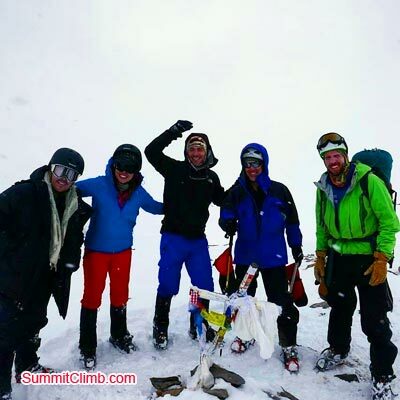 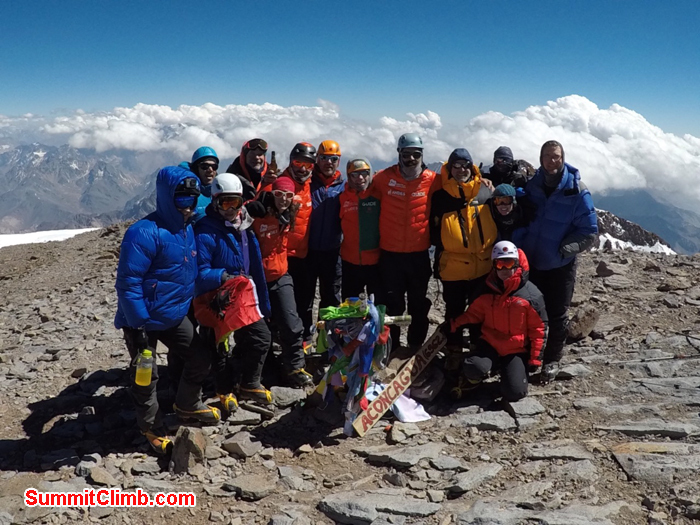 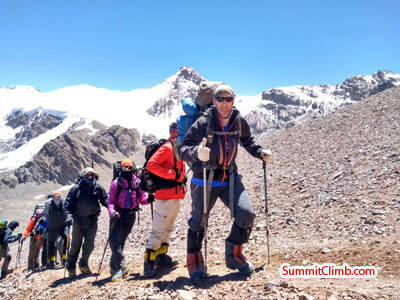 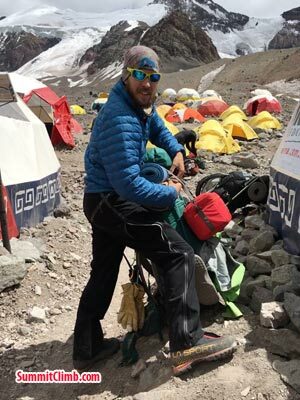 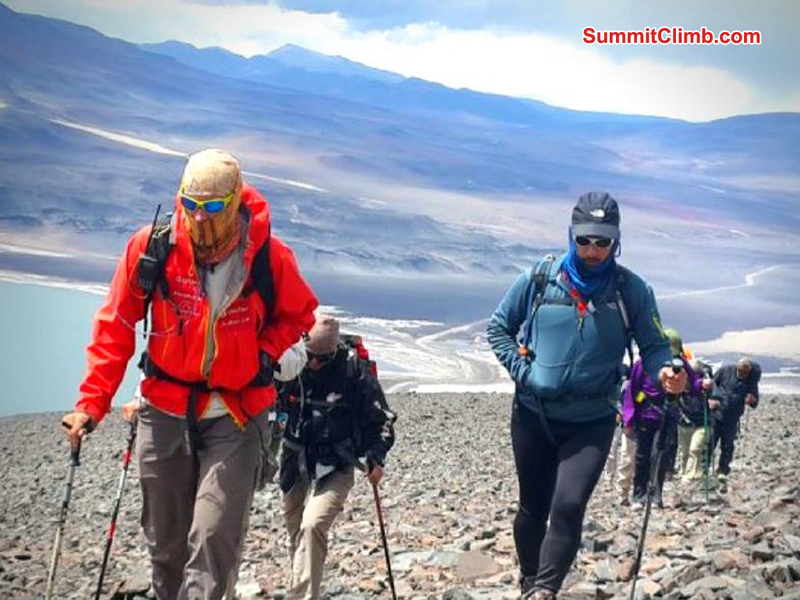 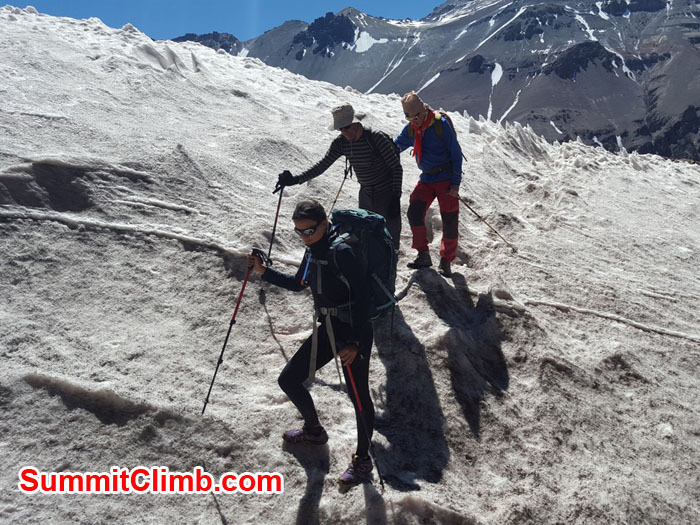 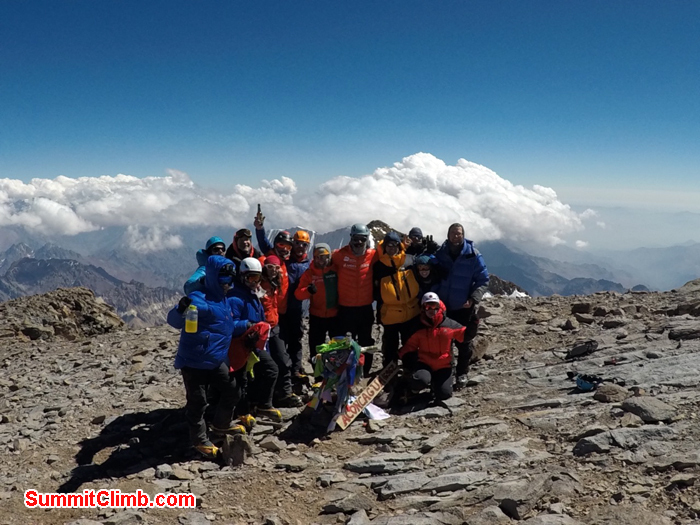 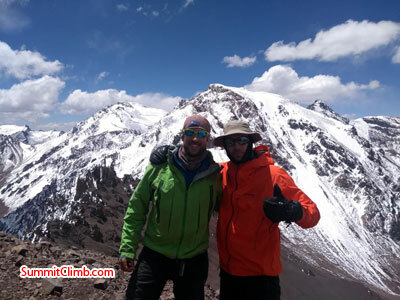 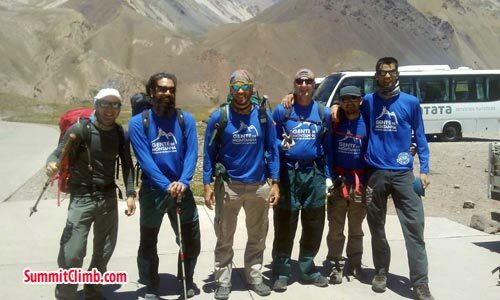 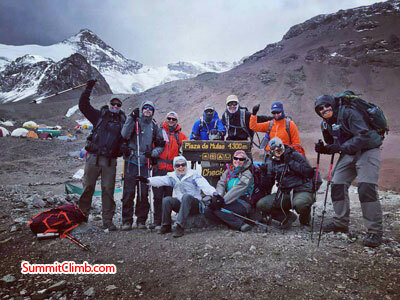 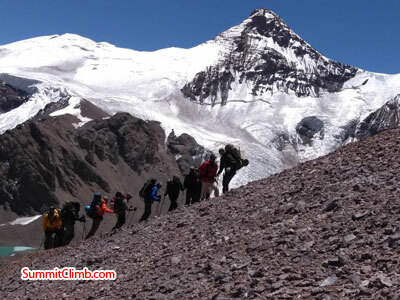 Team members at the summit of Aconcagua. 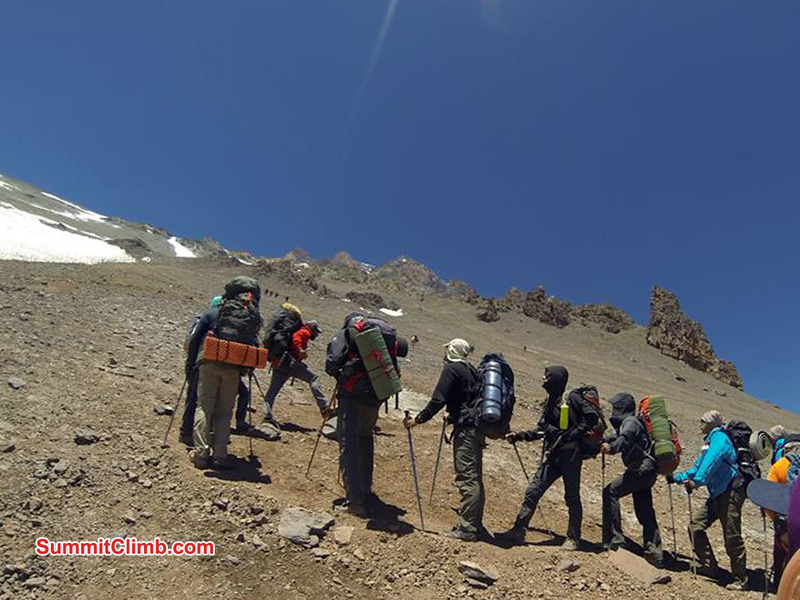 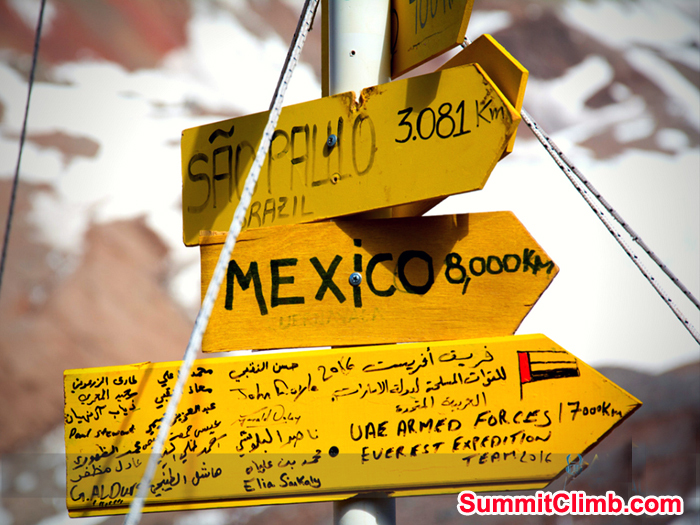 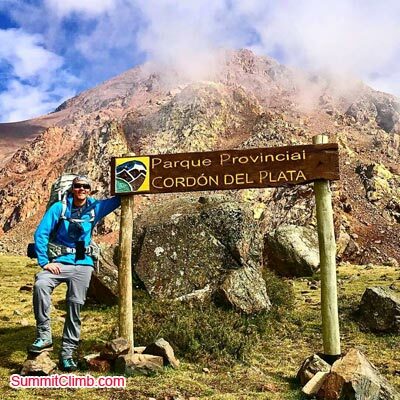 Summit Time Aconcagua. 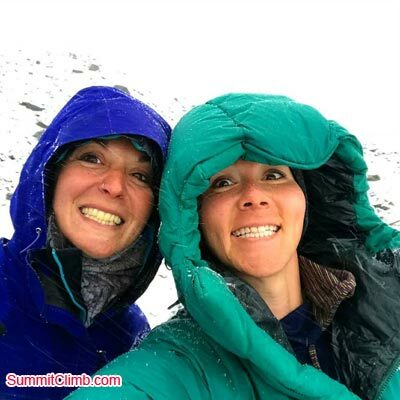 Bad weather hits during our climb. 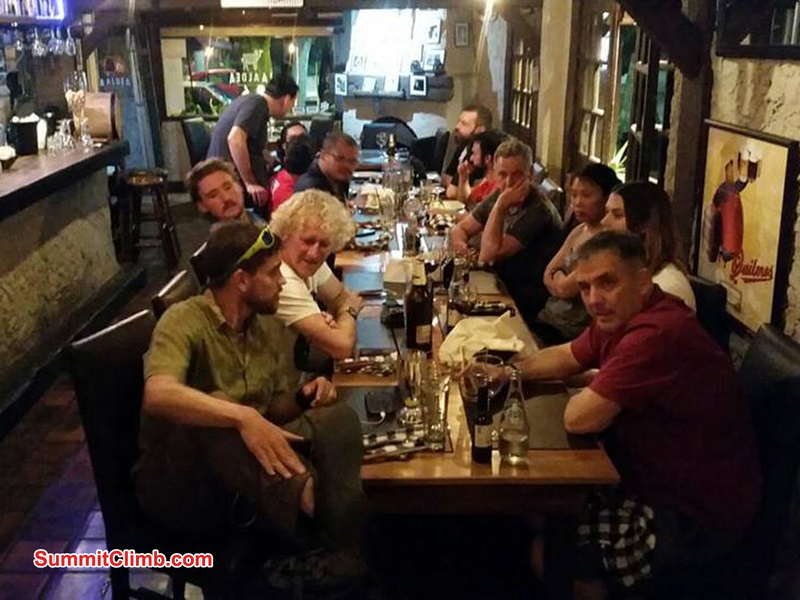 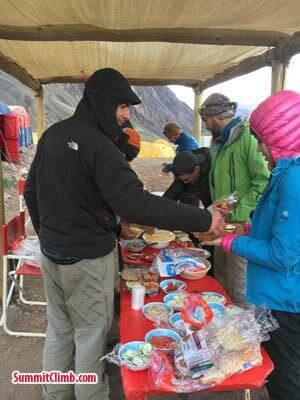 Team members enjoying decent from Acconcagua after summit. 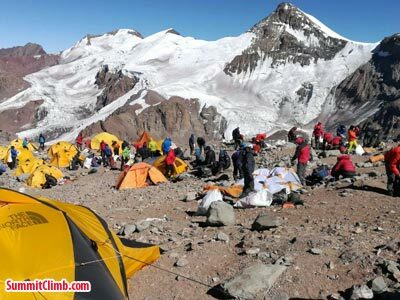 Camp site with beautiful day. 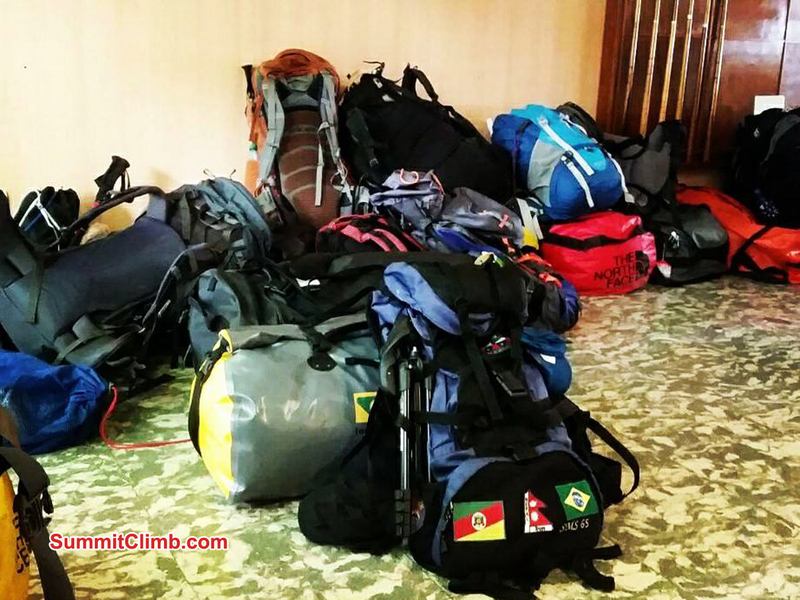 Loading expedition bags for Aconcagua Expedition. 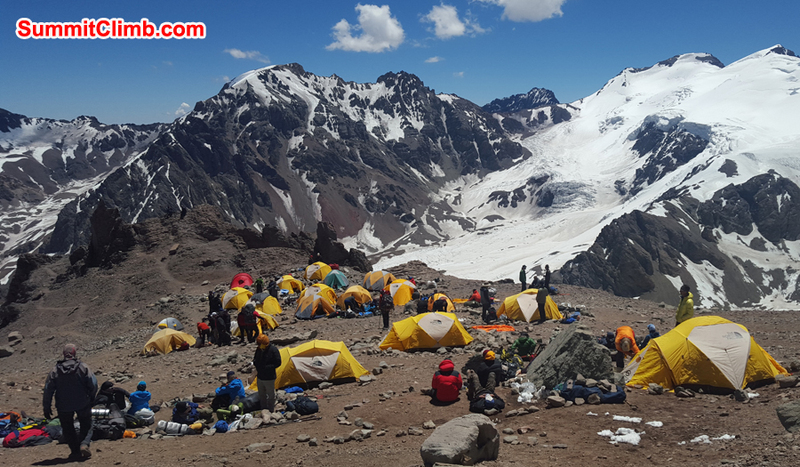 The team is at Nido de Cóndores, this camp was named after the Condor’s that can be occasionally seen up there. 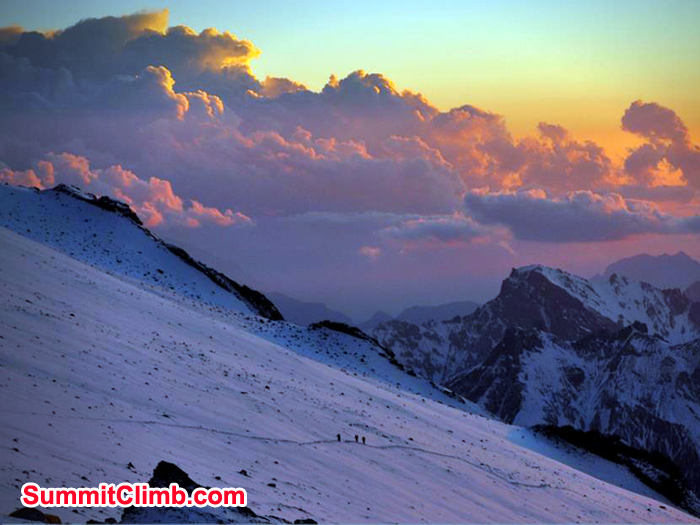 Extraordinary sunset at Nido de Cóndores. 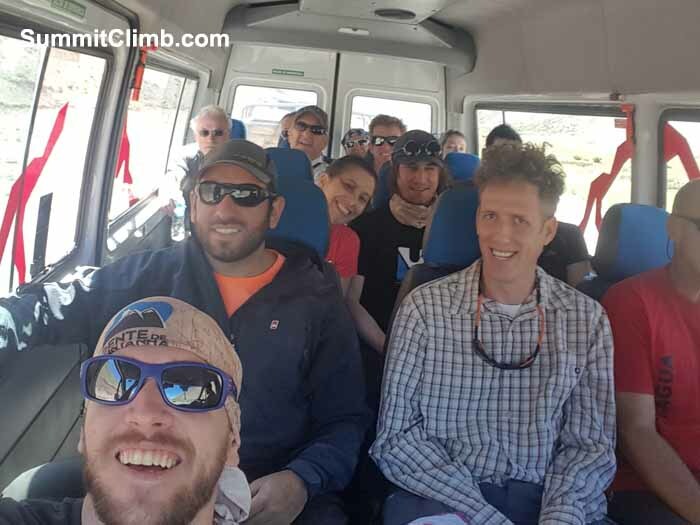 Feb 11 - The team is on it's way back to Confluencia. 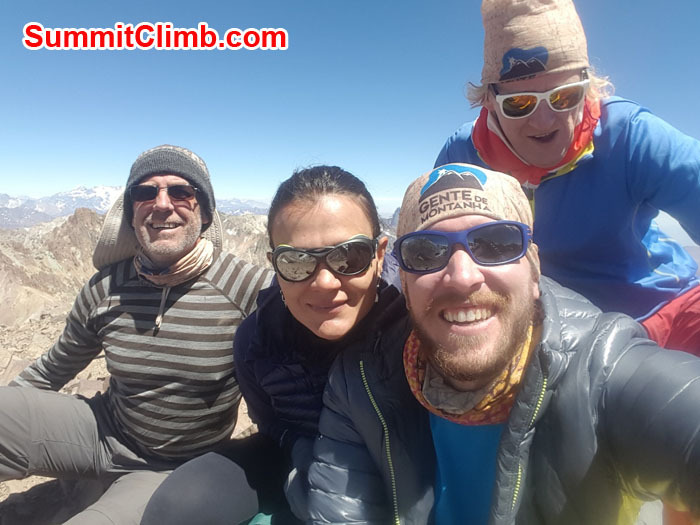 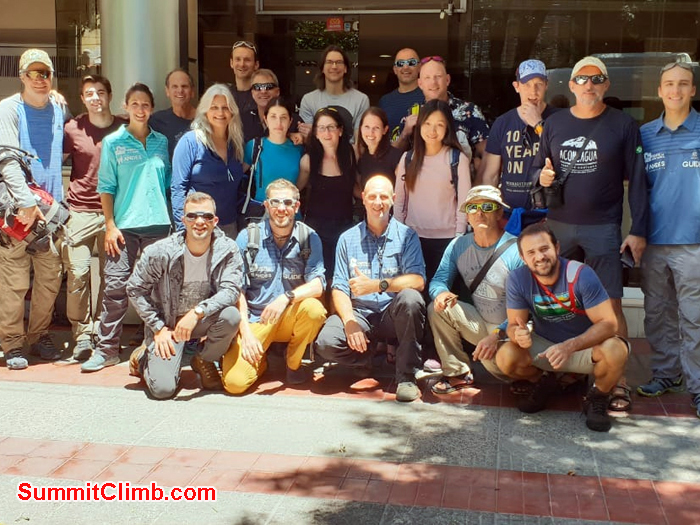 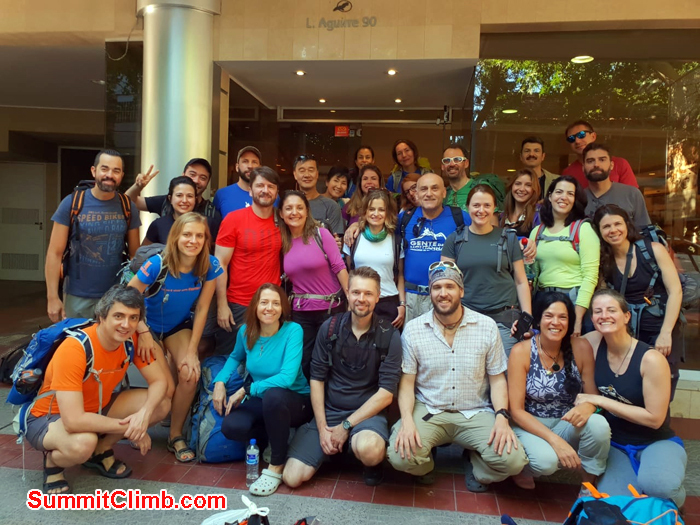 Today, after breakfast they went to see Plaza Francia, to get an extraordinary view from ACONCAGUA's South wall (technical route). 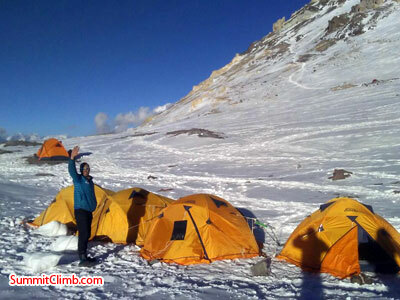 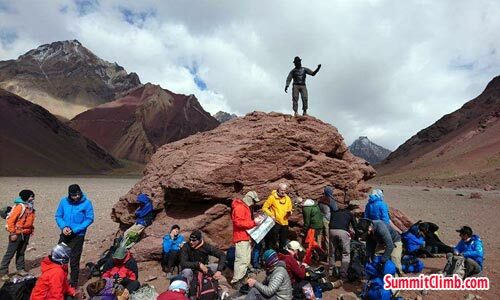 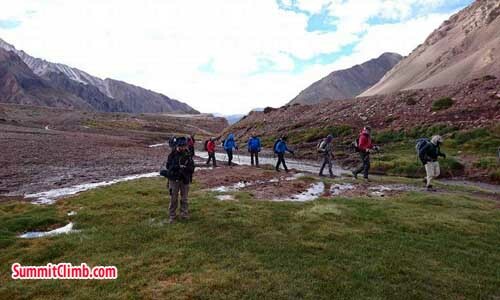 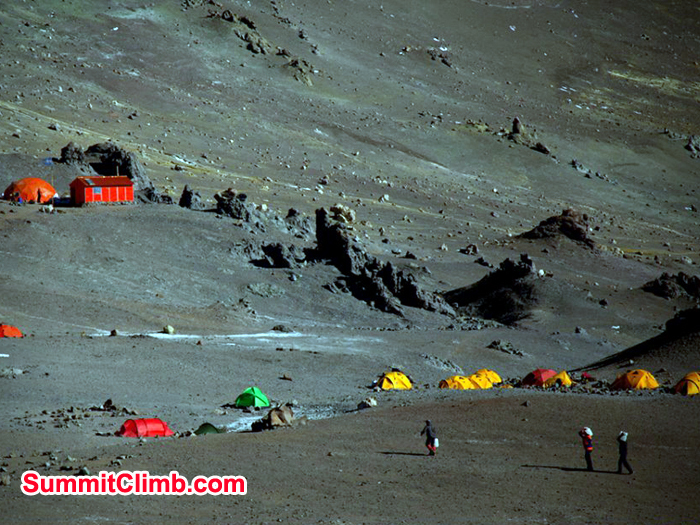 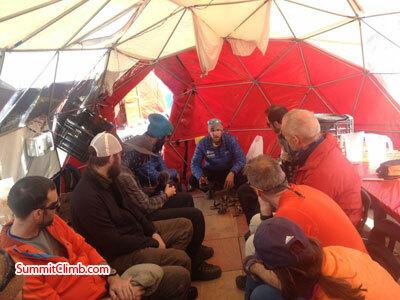 Feb 2 - Everyone arrived well at base camp. 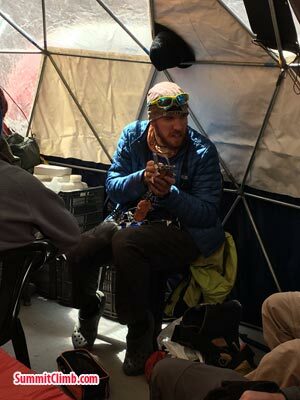 Now we are recovering energies. 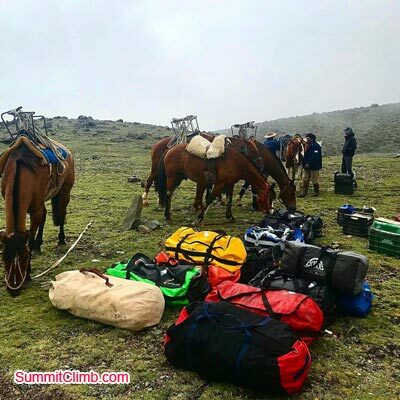 Tomorrow, we plan to have a strong breakfast, arrange the loads for the mules and departure around 10hs in pur way back to the Park Entrance. 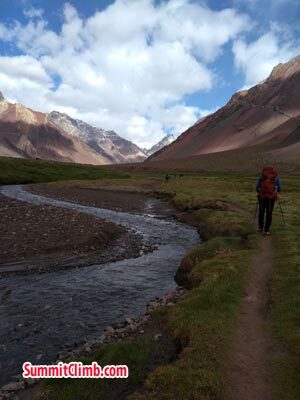 The journey might take from 8-10hs approax. 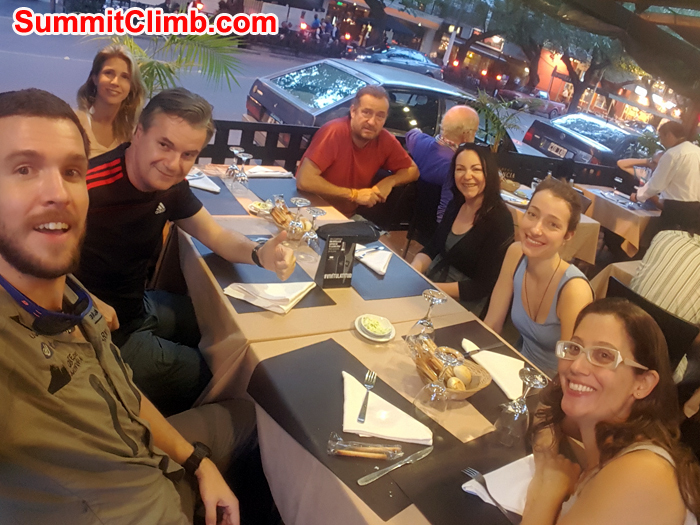 Once the equipment arrives in Los Penitentes we will be ready to return in Mendoza, but first a delicious dinner in Uspallata. 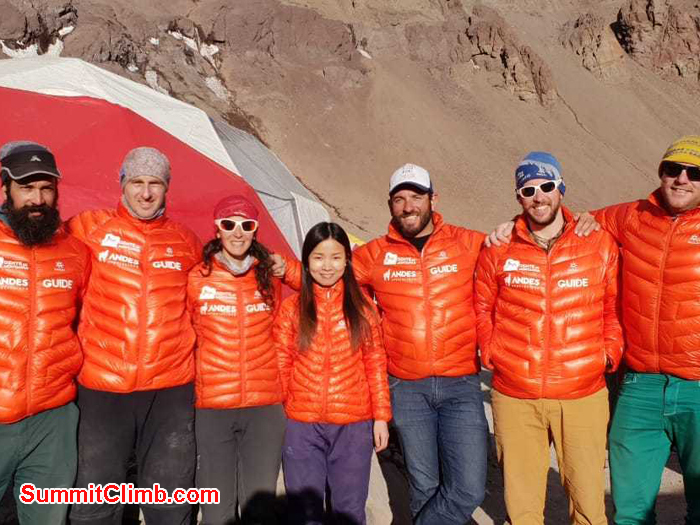 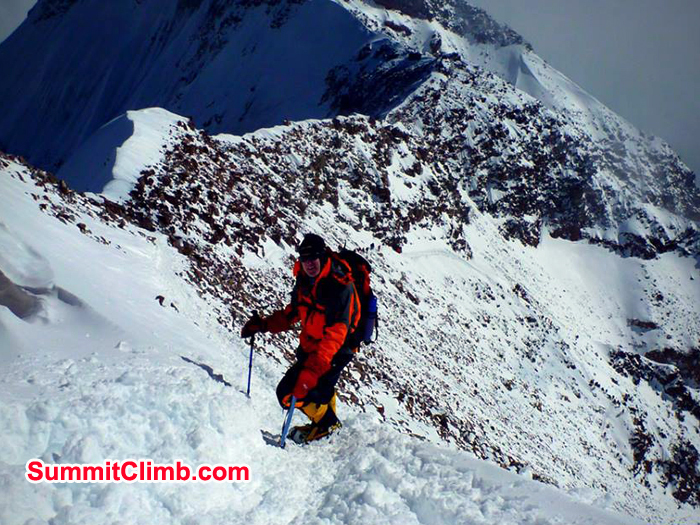 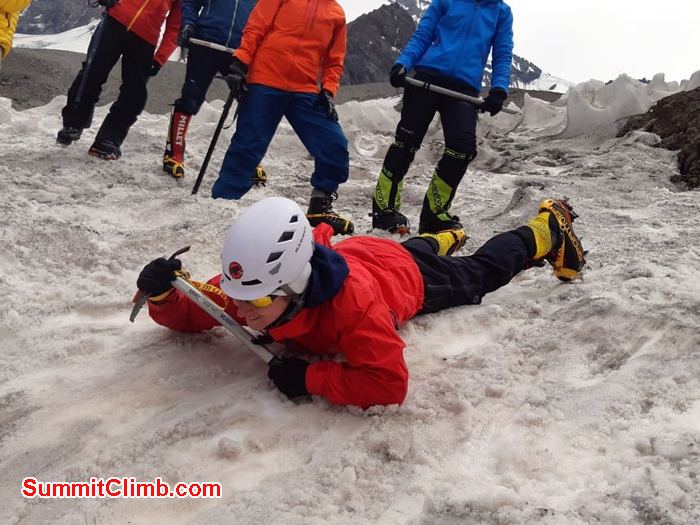 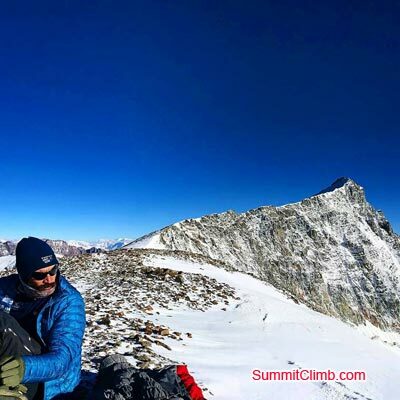 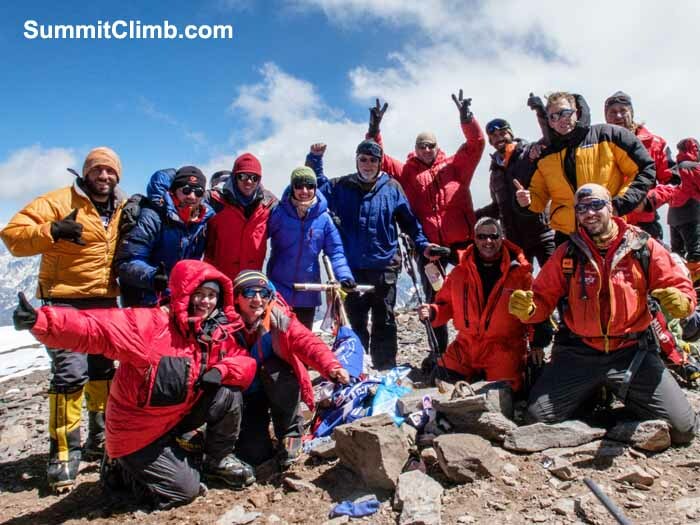 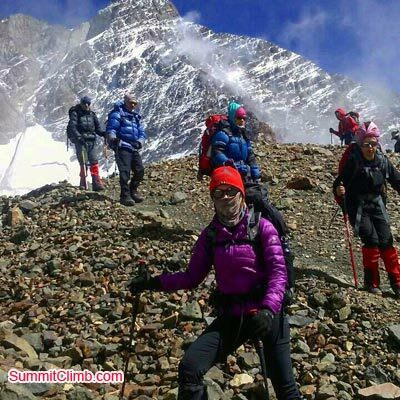 Feb - 1 - Amazing news from our expedition, 22 climbers in the SUMMIT!. 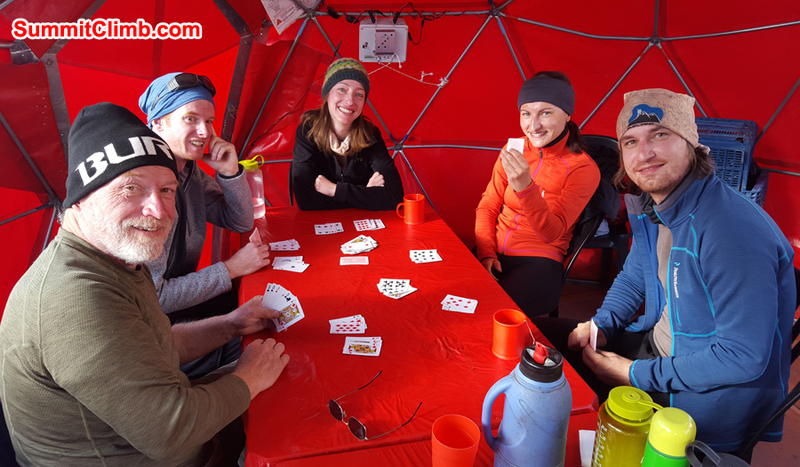 Jan 31 - Tomorrow is THE BIG DAY! 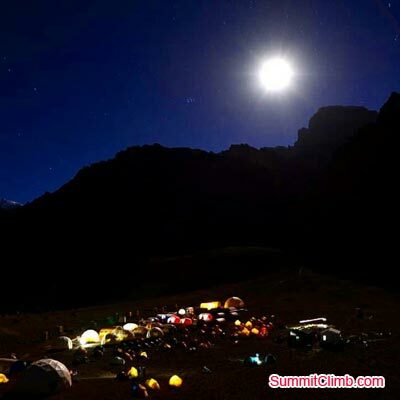 We can't wait to be finally there. 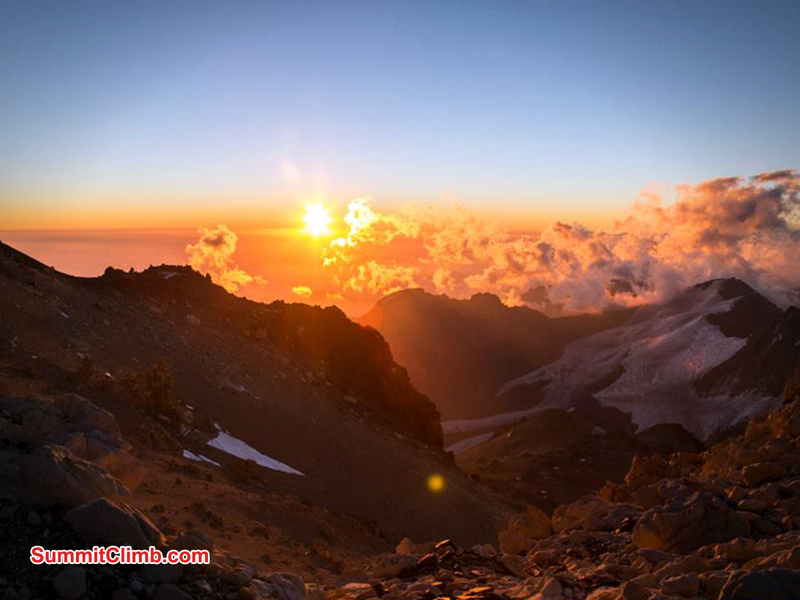 Can you imagine how it feels? 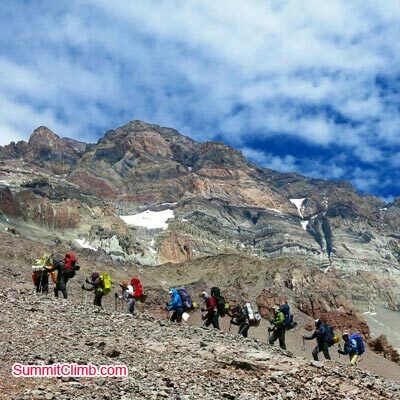 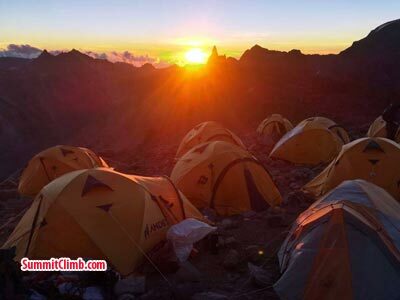 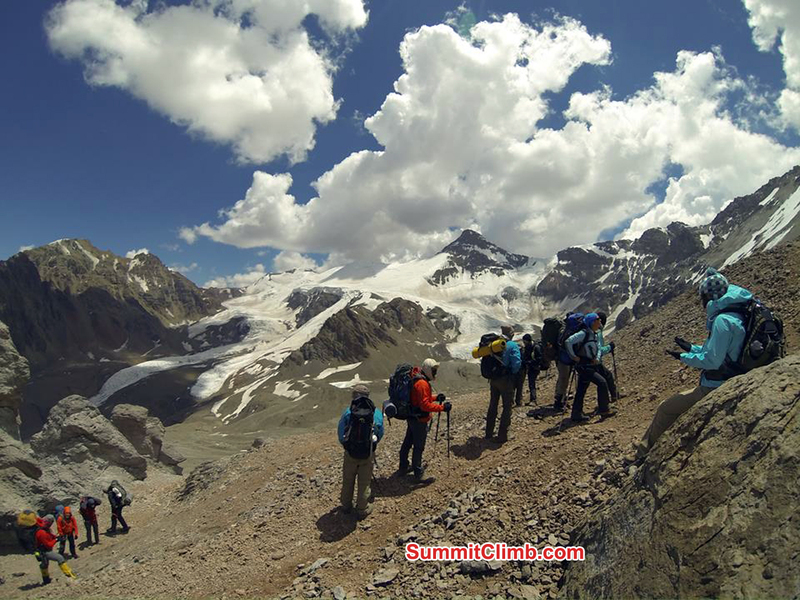 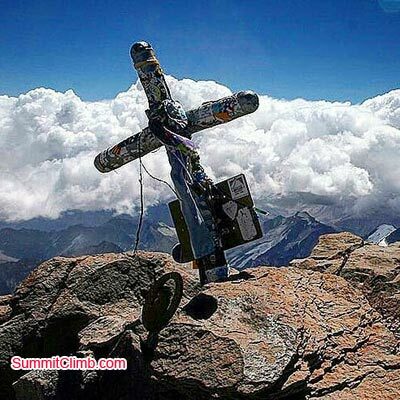 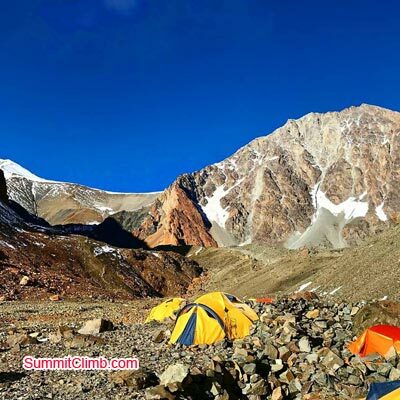 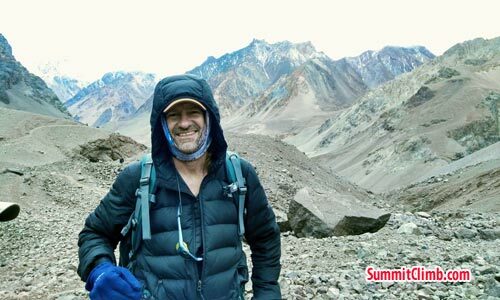 Come live a new experience in the outdoor world with SummitClimb. 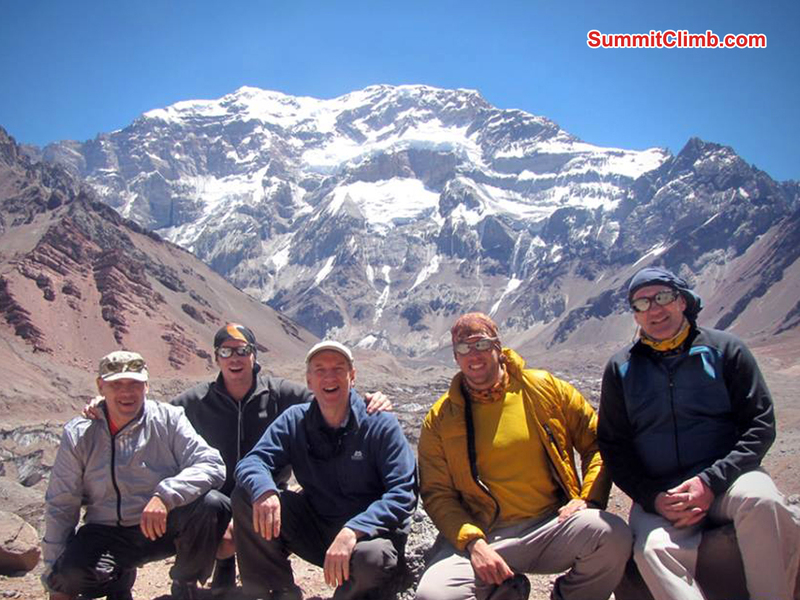 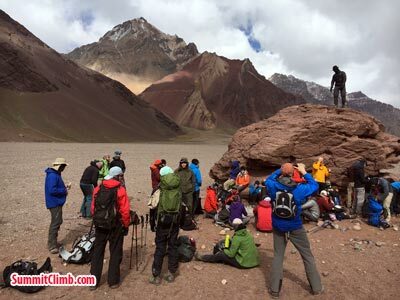 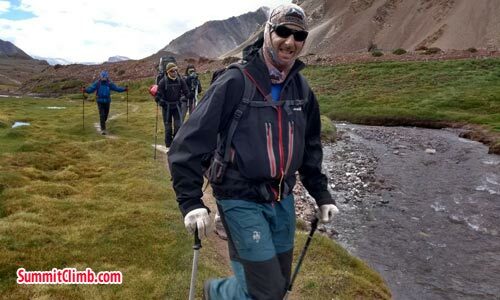 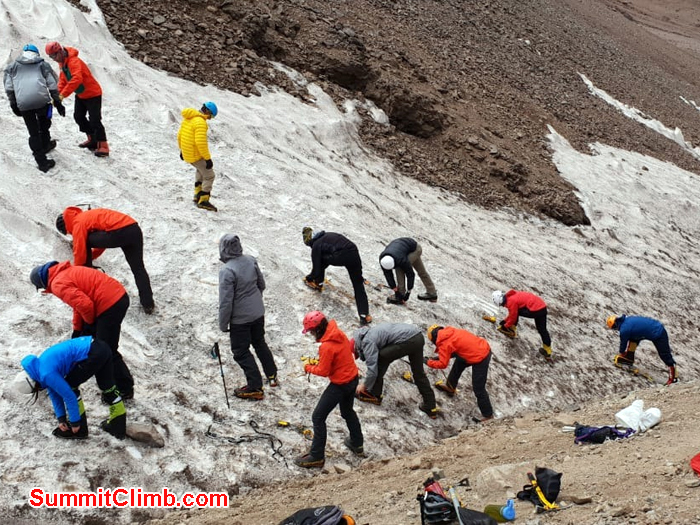 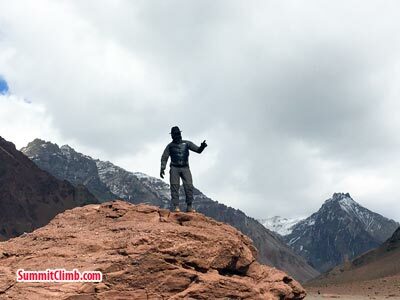 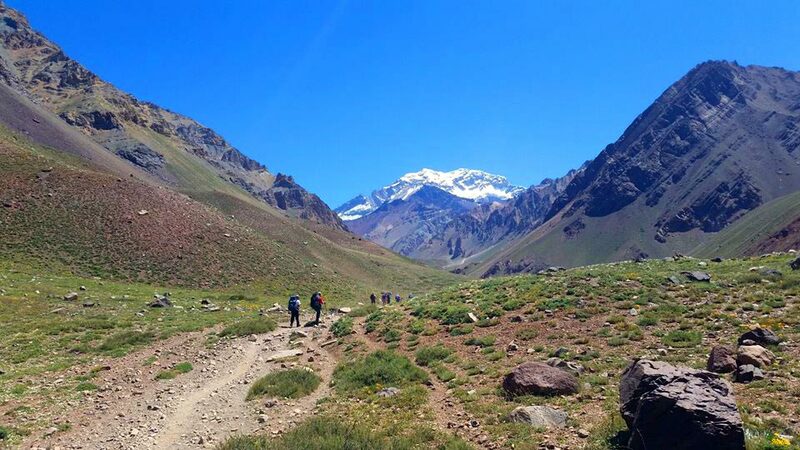 Our Aconcagua Expedition team is well at Nido of Condores. 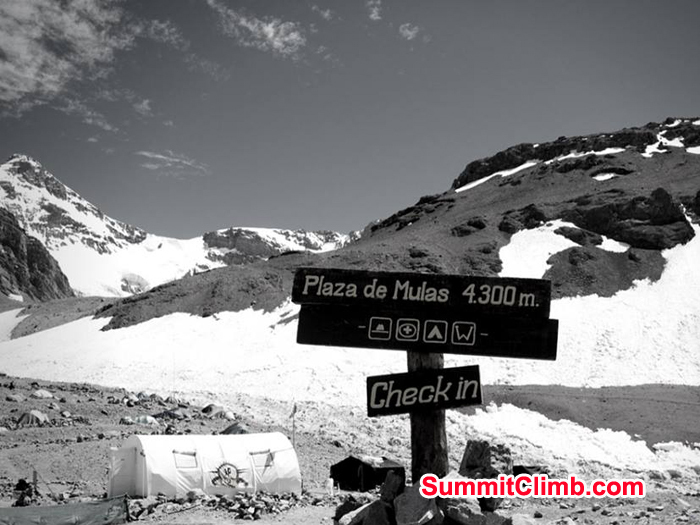 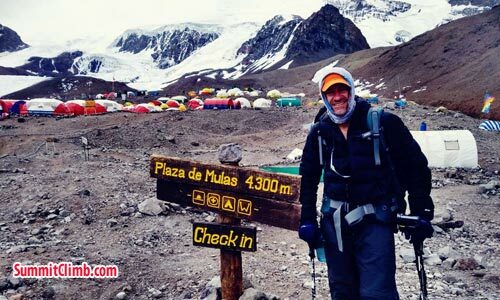 We made it to the sunny Plaza de Mulas at 4300m. 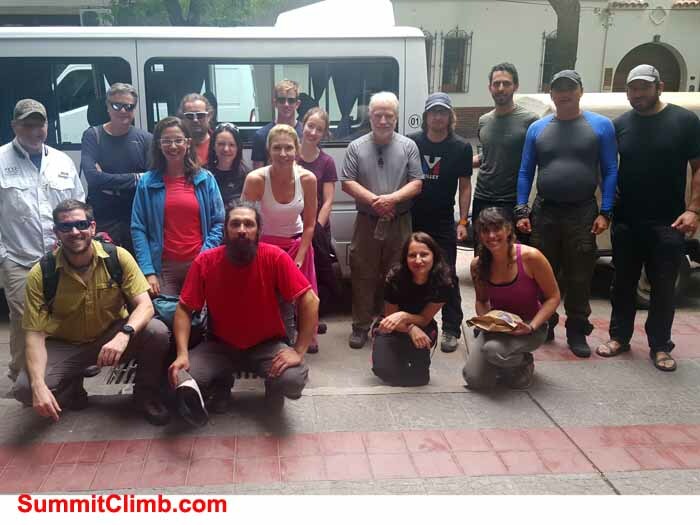 Our team is doing extremely well. 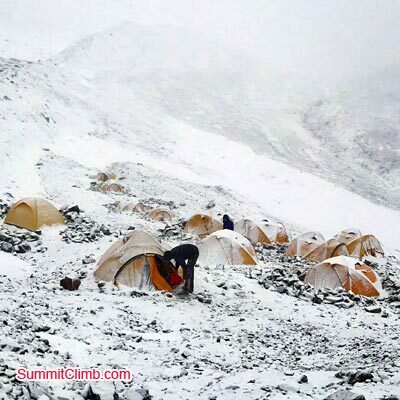 They came up here in only 6 hours (normal is 8 to 9). 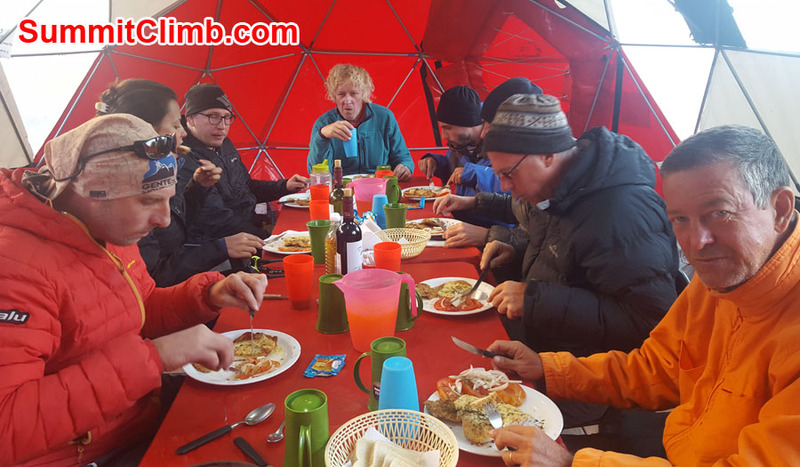 We're now having a delicious soup and talking about our plans tomorrow. 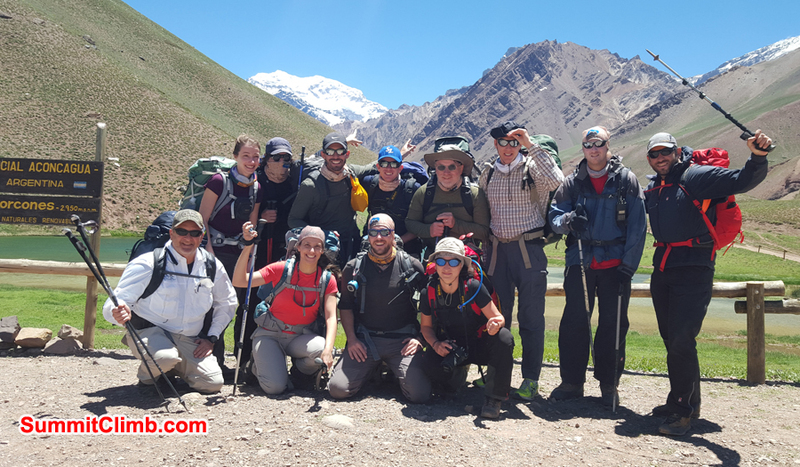 Everyone is happy, healthy and very impressed with the breathtaking landscape we've seen so far! 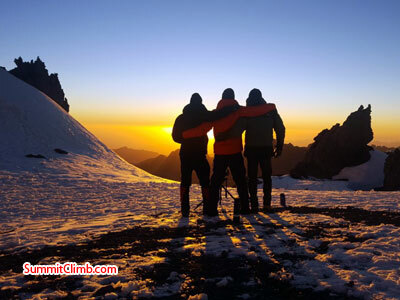 Tomorrow is our rest day and to tell the truth we need it. 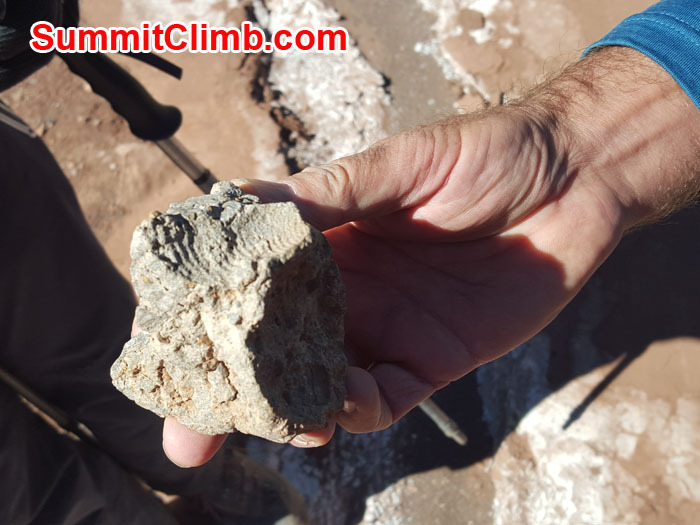 One of them is from a fossilised sea shell that Quentin found at 4100m.